Hamish Meaney | The Goose Is Out! The Goose is getting a reputation for bringing some of the best singer songwriters around to East Dulwich, and just before Christmas in 2008, we had a great set from Hamish Meaney. 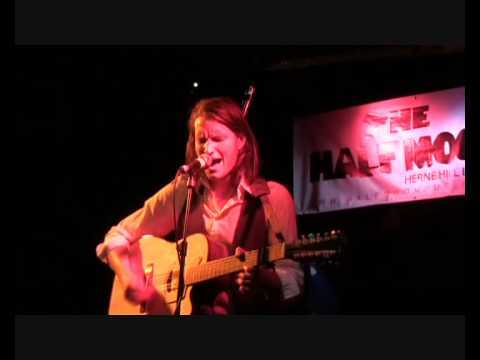 Hamish Meaney is a foot stompingly good folk rock singer songwriter currently based in London. Three years ago he exchanged his heavy metal rig for an acoustic guitar and hit the road. Travelling the world pursuing his love of surfing and the steep and deep, he has been profoundly influenced by all he has seen and this is reflected in his songs. Lost love, natural beauty/degradation and odes to the road are all themes apparent in his music. He has been described as “a one man folk lightning strike” – we said before the gig that we didn’t think you would be disappointed, and judging by the audience reaction we doubt if anyone was! Click here to listen to some of Hamish Meaney’s music!